Posted on October 9, 2018 . 3 Comments. 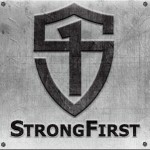 In this episode of the StrongFirst Podcast, your host Craig Marker talks with Pavel Macek, Senior StrongFirst instructor, StrongFirst Accredited Gym Owner, trainer of high-level MMA fighters, developer of the new StrongFirst Resilient workshop, and historian of strength culture. 01:28 – Pavel shares his background in strength, martial arts, and self-defense. 03:13 – Pavel explains the origins of the hack-squat. 10:20 – Pavel discusses essential equipment for gyms and how old-time strongmen trained. 11:56 – Pavel talks about the usefulness of dumbbells. 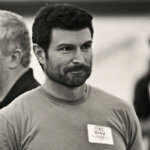 17:20 – Pavel presents his new StrongFirst Resilient course. 21:25 – Pavel discusses the essentials of training. 25:00 – Pavel talks about meditation practice and training. 31:07 – Pavel explains cold exposure and fasting. 37:35 – Pavel discusses the challenge of consistency in training. This was an excellent podcast! I love your accent, Pavel! I was intrigued by your knowledge of history in martial arts in regards to meditation, as well as your background. I look forward to learning more from you. My sincerest and warmest regards. I just listened to the part where you said you have wanted to get into meditation but have had difficulty being able to sit and meditate for a good stretch. I just wanted to recommend the Headspace app. It focuses on trying to do ten minutes daily and combines different focus drills(breathe, sound, feel etc.) to help you learn how to stay in that meditative state. The ten minutes will fly by much faster than you will expect. If you buy the full app there are a lot of specific drills for things like helping you get relaxed for sleep, recover from an anxious state, or even some sports focused drills, however if your goal is just to figure out how to stay focused in meditation for a decent period, the free version teaches you all you need. I hope you give it a try and find it helpful!